We’ve had a fantastic Easter at Cakes by Robin not least because we won The Ideal Home Show Professional Cake Decorator of the Year for the second year in a row! I’m so proud. 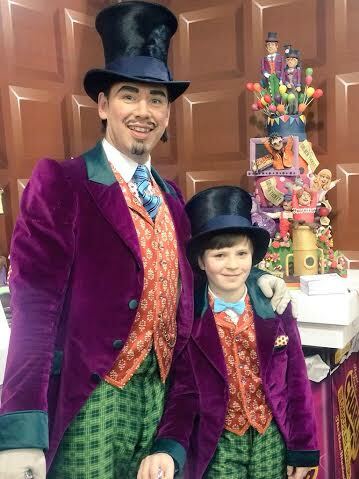 The theme was Willy Wonka and my amazing head cake decorator took one for the team by going to see the musical to properly research the brief. 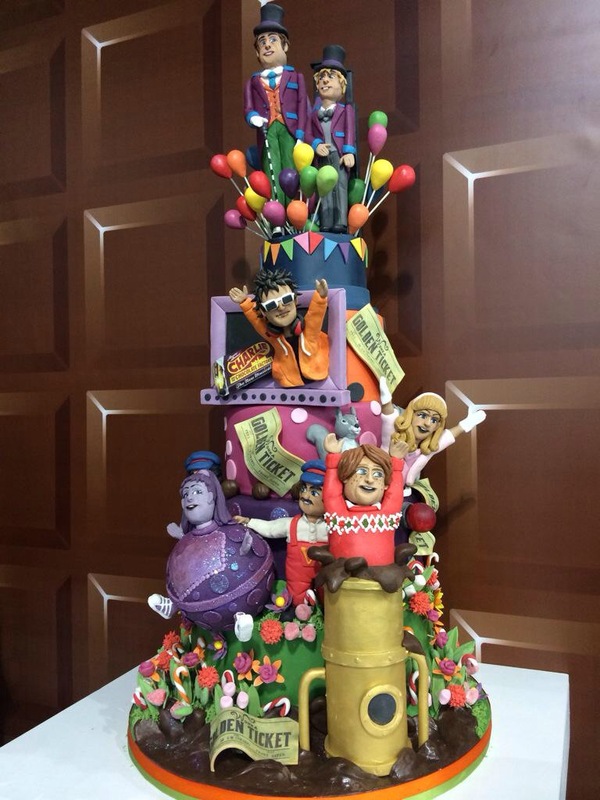 He absolutely loved the show and totally went to town on creating the most amazing, enormous and stunning cake featuring all the characters from Willy Wonka and Charlie to Augustus Gloop, Violet and of course the Oompa Loompas. I guess the public agreed because they voted for our cake to win. We can do any size of cake in this theme. It doesn’t have to be this big (500 portions!) 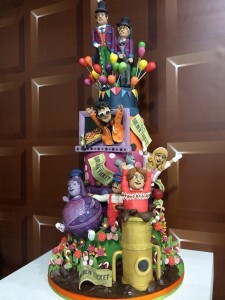 so get in touch with your ideas for your own Willy Wonka/Charlie and the Chocolate Factory birthday cake. With the cast of the show!